Nicole Michalik says the one of the best things about losing all the weight is that she can now sit just like this. Its small, but important. Getting into shape is a long and rough road. Whether you are looking to drop 10 or 100 lbs., there are detours, flats and roadblocks all along the way. But it is one of the most enlightening and empowering experiences one can ever embark on. Each week, we have been giving you a front row seat to the trials and tribulations of four people who took the challenge to become a 10 in 10 Weeks. 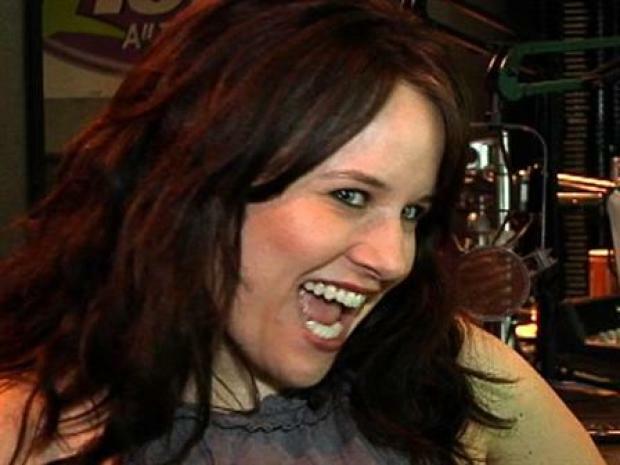 One of our "boot campers" is Nicole Michalik, Q102 DJ and resident Biggest Loser. That's right -- she changed her life by becoming a contestant on season four of NBC's reality show The Biggest Loser. Nicole lost over 100 lbs. on the show and then another 40 lbs. on her own. Now, the bubbly music maven is working off the last 20. But after making such an incredible transformation, we thought it would be interesting to hear what she had to say about the experience, the future and offer advice on how you can get into the act. NBC:What made you decide to record the audition tape? What was the straw that broke the camel's back, per se? 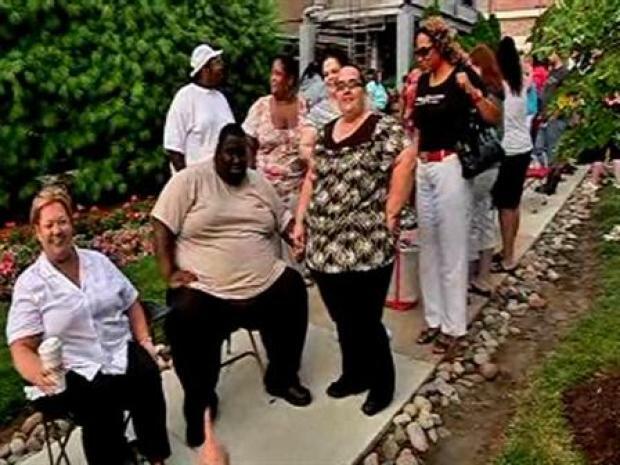 Open Casting Call for "The Biggest Loser"
People came from near and far for Saturday's "Biggest Loser" casting at NBC 10. Nicole: I was overweight my ENTIRE life, my weight was ALWAYS what was on top of mind. I was chubby up until college and then I became obese. I actually never watched Biggest Loser before, but one night I was flipping through the channels and I saw an episode of Season 2. I thought to myself, I could TOTALLY do this! I am competitive and would love to be on TV, I should do it. It was right at the end of the show, and on the screen it said, If you want to be a contestant on Season 3 of The Biggest Loser, send in an audition tape here. So I went onto nbc.com, found the info, and the rest is history. NBC:How was your experience on the show? Nicole: A-MAZ-ING! I seriously cannot say enough about how much I LOVED being on the show. Not only did it completely change my life, but I met some of the most special people in my life. People think I'm crazy that I say I loved working out 7 hours a day, living with mosquitoes, and not having TV, radio, internet, or cell phones, but it was the BEST time of my life and I would go back in a SECOND! NBC:Did expect to make such a drastic change when you started the show? Our own Biggest Loser Nicole Michalik talks about her journey. Nicole: I want to be in the 160's. I'm not sure if it's possible, since my body seems pretty content at where it is, BUT it's good to always have goals, so that is mine. NBC:What motivates you to keep on going? Nicole: The fact that I NEVER want to go back. It feels like a different life sometimes. I love that I can run and lift weight, that I fit into an airplane seat with the seat belt strapped and pulled tight, my legs crossed, and tray top down. I love being able to wear tank tops, and the fact that I can hug my knees (see attached pic). I love that I can go into any store and buy clothes and I love that I have the ability to spread the word to others and hopefully change someone's life like The Biggest Loser changed mine. NBC: How different is your life now that you are healthier? Nicole: I am not afraid anymore. I don't have to make up excuses as to why I can't go to Great Adventure (b/c before I couldn't fit in the rides) or say I have to work so I don't have to go out to a bar for my friend's birthday. I can go zip lining, and hike a mountain. I love that I can finally BE adventurous, in anyway imaginable. :) Being overweight made me crazy. I was insecure, scared, and miserable. I didn't FEEL like myself. I finally feel like I am who I always knew I was, and that feeling is priceless. NBC:Do you find yourself holding back when you're out to dinner or at a bar? Nicole: Oh yes, all the time. At dinner anyway. The one thing that totally saves me is that I'm not a drinker. I never liked the taste of alcohol and I'm kinda naturally crazy, so drinking is not worth the money or calories. If you think about it, beer is basically liquid bread. :) But at dinner, absolutely. I LOVE FOOD! In fact I even love it more now that I did before the show b/c there are so many more things I like now. Of course I want the warm roll w/ olive oil and of course I want a big dish of homemade pasta, but for me, if I want to keep looking and feeling the way I do, I have to be SO careful of EVERYTHING I put in my mouth. Everyday I wake up it's about making the right choices. It's NOT a diet. It's a LIFE. NBC:Have you done anything special to keep the weight off? Nicole: See above. I watch EVERYTHING I eat and work out 5-6 times a week. It's a little harder for me with my Hypo-thyroid (on top of bad genetics). If I don't watch what I eat and don't' work out, I will gain weight so fast it's scary. My body remembers and is comfortable being 300lbs so I have to keep working to keep programming my body to realize that THIS is it's new comfort. NBC:How do people you may not have seen in a long time react to the new you? Nicole: I'm so blessed that I have such a great support system around me. Everyone (well mostly everyone) is so encouraging and supportive of the "new" life. I was home at my parents a few months ago and I saw the parents of one of my friends from High School (who I haven't seen in YEARS)! So I go over and say, OMG! HI! And give them both a big hug and kiss. Well they stood there and looked at me for a few seconds like, Um, who are you crazy lady and why are you hugging us? HA! Finally they realized it was me, and they were SO shocked. It's moments like that when you realize how big of a change it really is. NBC:What advice can you give to someone who is looking to get healthy or maybe even send in their own audition tape? Nicole: The VERY first thing is to figure out WHY you are overweight. I always say, the mind is the strongest muscle in your body. You have to figure out what your triggers are, and the rest is easy. Bob (Harper, my trainer from the show), always said, Knowledge IS Power. And I couldn't agree more. The more you know the easier it is to make choices. I know so much about food and nutrition and fitness that I don't want a burger and fries b/c I know so many other choices are better for me. It's ALL mental. Now it's your turn to take the plunge and change your life for the better. The Biggest Loser is coming to Philadelphia to search for new contestants. For season eight, the show will be focusing on couples -- parent/child, brother/sister, sister/sister, husband/wives, friends…you get the picture. If you think you're up to the challenge, stop by the NBC10 Studios on Saturday, July 18 between 10 a.m. and 6 p.m. Get all the details right here. Good luck and don't forget to follow Nicole and other boot campers in the Be a 10 in 10 Weeks challenge.